Home Resources How is Latin America going to be impacted by the new US PE production? How is Latin America going to be impacted by the new US PE production? 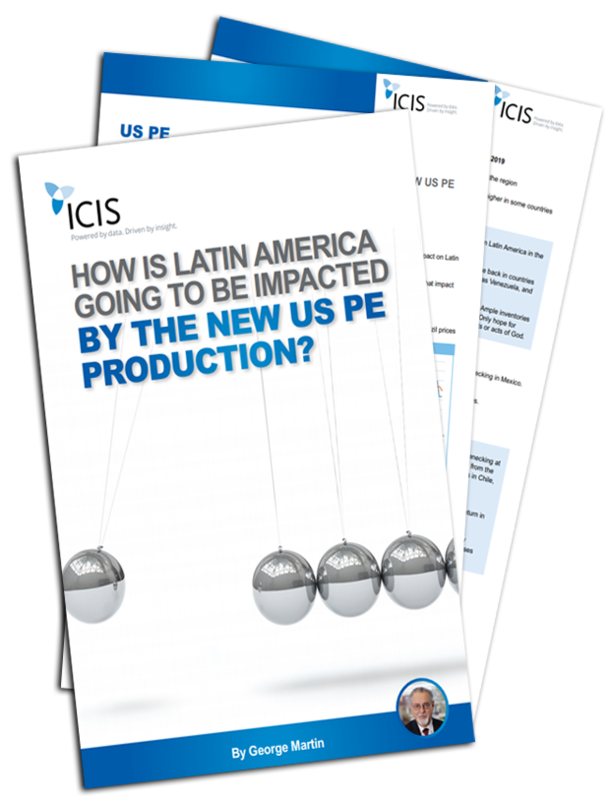 Get all the details surrounding Latin America and the effect new US polyethylene (PE) and polypropylene (PP) production will have from ICIS. Market expert George Martin gives a detailed analysis of PE and PP market changes in 2018, and what is forecast to come in 2019. Don’t miss out. Stay on top of the market with ICIS. Download the insight here.